2017 - See The Top 10 Homesteading Posts of the Year! 2017 – Top 10 Homesteading Posts of the Year! It’s hard to believe we’re already in the waning days of 2017! And we’ve got a bright new year in front of us, full of possibilities & promise. But I’d like to take a moment & reflect on 2017 first. 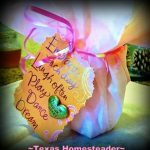 Today I’m sharing the top 10 homesteading posts of 2017. This list includes a few recipes such as no-knead Boule Bread and our favorite Planned Leftovers Meal – Carnitas Tacos. And it also includes some crafts such as making your own chalkboard labels with things you’ve already got. There are also some posts about interesting social observations that y’all really liked this year. Grab a cup of coffee & c’mon in, y’all! This was one of your most-read posts. It’s an important reminder that not all is as it appears so it’s best not to make judgement. I’m sharing a real-life circumstance RancherMan & I found ourselves in to prove my point! Why has cleaning gotten so complicated? Apparently y’all want to simplify your cleaning too! In this post I’ve shared some simple cleaning tasks that even grandma would approve of. Living & working on a NE Texas ranch, I need simple hairstyles that are still pretty & feminine. 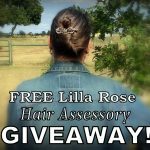 Although the giveaway is obviously over now, y’all really enjoyed this post about hairstyle simplicity on the homestead. OMGosh y’all – apparently you loved this post as much as I did. 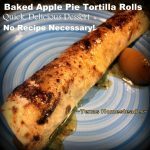 Baked apple pie tortilla rolls – no recipe needed! This is still one of RancherMan’s favorite things for me to whip up to satisfy his sweet tooth! 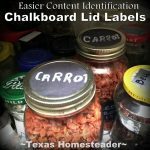 I’d purchased the reusable chalkboard labels for the side of my pantry jars, but I really wanted chalkboard labels on top of the jar too for ease in being able to see jars in the back. Just as I was about to plunk down a couple of bucks for chalkboard paint… Say it with me y’all: #UseWhatchaGot! Y’all know RancherMan loves bread in all its forms. But when I was looking for a free-form loaf for a special service in my church, one of my FB readers suggested this Boule bread. OMGosh y’all, mix, stir, rise & bake. Done & DONE! I’m a lazy, errrr – I mean EFFICIENT cook! I like to cook with planned leftovers in mind so I can streamline future meals. And apparently so do you. 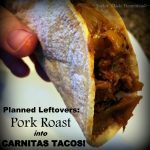 These Carnitas Tacos are my favorite planned leftover to enjoy after our pork roast dinner. You know how it is – you want to be sensitive to the feelings of your more eco-friendly friends, but where do you start? This post shares 8 great gifts for your environmentally-aware friends. 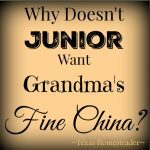 Why Doesn’t Junior Want Grandma’s Fine China? This was a very popular post this year! I’m digging into the reasons I believe those cherished family heirlooms just aren’t being embraced by younger generations. 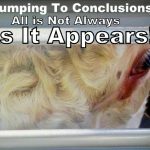 You’ve all weighed in with your experiences as well. Great interactions here. You know the drill – you need cherry pie filling for a desserty dish you’re making but it pains you to plunk down so much money for a can of the commercial stuff knowing it often has precious few actual cherries. Well this was your favorite post of 2017. 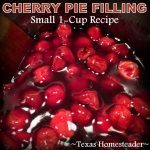 Yep, now I quickly make my own cherry pie filling for pennies and put in as many cherries as I want! So there ya go, the top 10 favorite posts of the year on this little ole blog of mine! I hope you’ve enjoyed this little stroll down memory lane. And I’ve just got to say how humbled I am for each of you who follow along this simple-living path I’m on. We all learn from each other – growing, learning, and supporting each other along the way. What a great group! Here’s hoping each & every one of you have an awesome 2018! 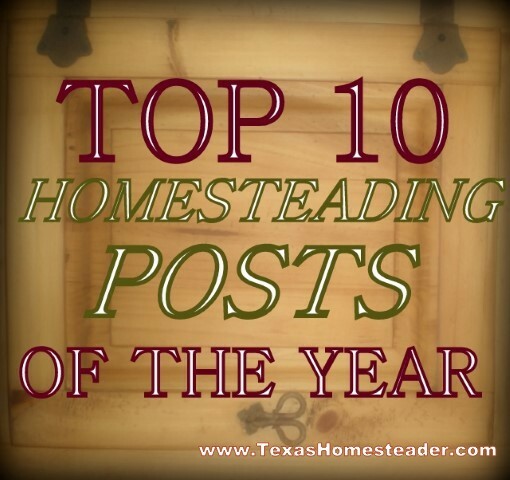 Wanna Read Other Year’s Top 10 Homesteading Posts? 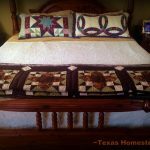 This entry was posted in Blog Posts and tagged Cooking, Environment, Frugality, Inspirational, Rants, Recipes on December 29, 2017 by Texas Homesteader.